Which toys should I pick for my pet? Toys, toys, toys! How do I know which to buy?! A world of choices! Which are the best for my pet? There are several factors we must take into account to make sure your dog or cat doesn’t eat their toy. Each pet is different and in determining what type of toy is the best for your animal, you need to keep in mind the following things. What is the size of your pet’s mouth? It is quite obvious that a toy the size of a ping pong ball is not a good idea for a Great Dane. The same can be said for a normal sized football for a cat. Pay close attention to the recommended size for the pet, or the recommended weight category, it is typically written on the front of the toy packaging. What type of chewer is your pet? Some animals are bent on tearing apart their toys, while others are so gentle they wouldn’t even make a puncture mark. The extremely avid chewers need to be supervised with any toy to make sure they don’t destroy or swallow any pieces. Remember, no toy is indestructible. If there are any cracks- throw out the toy. If there are any pieces missing, call your Vet. 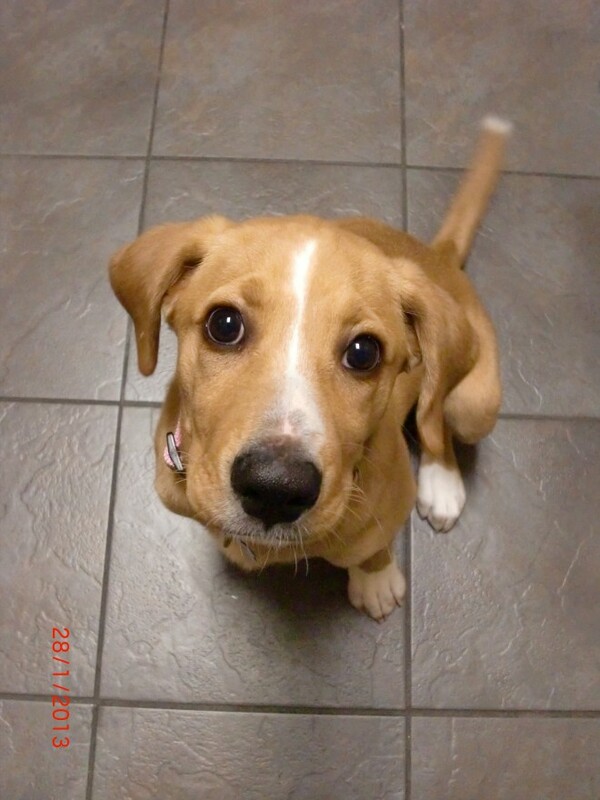 Knowing your pet’s chew level will aid in determining the type of toy which is ideal for them. For example, Kong brand makes toys colour coded for chewers. Black is the most indestructible, Blue is for puppies, Purple for seniors and Red is for the minimal chewers. What if you have multiple pets in the house? Use toys aimed for the largest animal and the most avid chewer. Avoid toys with small pieces, such as small mice for cats- the ears and tail are easily eaten! What toy type should I choose? Here are some of my favourite picks! 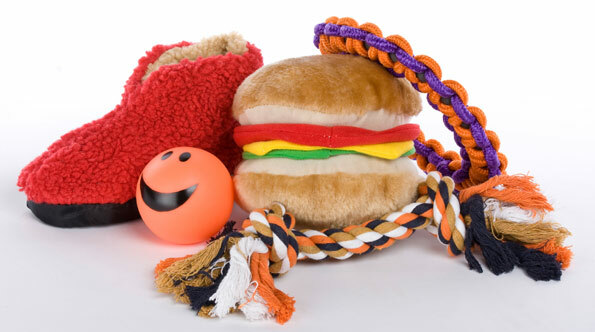 Depending on whether you are at home with your furry friend, there are different toys which can be chosen. Just like dogs, there are some cats who would rather eat their toy than play with it. Toys must be larger than a cat’s mouth, and they should not be able to bite off pieces which can be swallowed. If you are home to play with your cat, some of my favourite toys are using a laser pointer in the dark. Just be sure not to shine it in the cat’s eyes! Make different patterns and watch the cat go crazy for it! If your cat doesn’t like laser pointers, the next best toy is the feather on a string or ‘cat dancer’ toys. Make the feather dance and watch the cat bat away. This is a definite toy to only have around with supervision, since the string can easily be chewed and eaten. Cats love to bat around balls, as long as they are bigger than their mouth and don’t show any interest in chewing them, this is a great toy. Scratching posts are excellent play items, cats will show preference to one type over the other. Cardboard is the most common type, but carpet, leather, and sisal are other very common types. Sprinkle a bit of catnip on the area to make it even more desirable. Tunnels can be great for cats to hide inside, or run through. There are so many different types of cat tunnels, but each offer an area of solitude and fun! Incorporating food and toys is a great way to burn calories while losing weight. Catit Design Senses Treat Maze (https://www.youtube.com/watch?v=L8Hx1HE800E) is one of my favourite ways to make feeding more fun. Food dispensing balls are also a great way to encourage foraging with our cats. Check out the Twist and Treat toys- available for both dogs and cats. These come in various sizes, and you can twist the toy to either be smaller or larger- thus making the game easier or harder. (https://www.youtube.com/watch?v=5EhyOt05mb8). Our furry dog friends have the play world at their fingertips! So many different brands, what do you choose? Some the best made toy brands are: Kong and Busy Buddy. Great thing about these brand is their abilities to dispense food. Remember, there is no need for a food dish if the dog likes to play. Get some food dispensing toys instead and rotate them out! They may be destructive with plush toys, but the same may not be true for rubber toys. Check out the GoughNuts rubber toys (https://www.youtube.com/watch?v=7pZLBN2pTRo). If the pet has chewed too deep and you see red from the toy-> it is time to throw the toy out or have the company send you a new one! Avoid- any toy which is so hard it would hurt if you hit yourself in the knee. These items can be too hard to chew, leading to broken teeth. Chews such as deer antlers, real bones, and ice cubes. Again, no toy is indestructible. Keep an eye on your pet during playtime. If there are any cracks-> throw the toy out! And most importantly, a toy which is safe for a child is NOT necessarily safe for a dog. If you have questions about toys, give us a call!